Pastor, speaker and homeless families advocate, Pastor John Wiley, launches a new website that highlights his teachings and writings and makes his ministries, the River Church Family, the River of Refuge, and The Raw Word readily accessible to his followers. 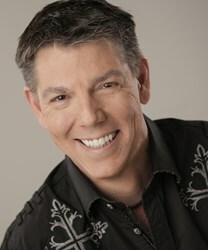 For more information, visit pastorjohnwiley.com. Pastor John Wiley, an unconventional preacher with practical, action-inspiring messages, can now be followed and contacted online through a new and interactive website which is accessible to all Internet devices. This site has an up-to-date design that enables visitors to read his testimony and blogs, watch or listen to sermons, and find ministry updates, as well as post requests for advice and leave comments and feedback. Media appearances of Wiley, who has appeared on The 700 Club three times, are also available. Links can be easily located on the site to Wiley’s other ministry websites: the River Church in Raytown, Mo., where Wiley is founder and senior pastor; the River of Refuge, a non-profit organization founded by Wiley which provides free temporary housing to working families in the Kansas City area; and The Raw Word, Wiley’s audio blog. Visitors also will find his Facebook, Twitter, and LinkedIn feeds and links to connect with Wiley on each of these social media platforms. Through this new website, Pastor John Wiley, who already has an international online audience, hopes to reach young adults around the world who want to grow in their faith as well as those who may be disillusioned with the established church or non-Christians who are seeking truth. It is his desire to present his faith in a fresh and relevant way to believers and non-believers alike. The new website, http://www.pastorjohnwiley.com was created by Premier1 Studios, a PR and marketing agency which specializes in Christian entertainment. John Wiley is the founding pastor of the River Church Family in Raytown, Mo., an ordained pastor of the Foursquare Church International, and the current Divisional Superintendent for the Kansas City Metro Foursquare Division.